Home care is about study, observation and consultation, almost as much as it is about heart. The administrative team at BlueBird enlisted the consultation and guidance of leading medical professionals. We always admired physicians and specialists for their acute diagnostics, but it was also always about bedside manner and patient perspective. We reached out to the sought after providers who have been our icons in business and medicine. The difference between a medical facility and a home care commitment is the fine line between facility and community. Beyond the serviceable hours, home care is completely patient oriented. Our expertise in the industry awarded us the panoramic view of care and we consulted with the world of medicine before actualizing our mission of continued care. BlueBird’s Clinical Advisory Board provides real perspectives from real doctors who have gone beyond the call of duty to shape the way we view and provide home care. We continue to consult with our Clinical Advisory Board, while they regularly oversee progress and provide an open channel of communication of medical guidance for BlueBird clients. It takes a great deal of professionalism and skill to land the ‘Clinical Excellence’ award at a prestigious hospital or clinic. Dr. Valery is a renowned Medical Director and boasts close to 30 years in medical expertise, particularly in the field of Internal Medicine. He has been given the ‘Clinical Excellence’ award and continues to be commended for his exceptional work in research and medicine. Since completing his residency, Dr. Valery has supervised a team of 8 physicians, while monitoring an outpatient clinic and contributing to non for profit organizations assisting underserved communities in Haiti. Dr. Valery is currently a leading clinician at LaSante Health Center, implementing high standards of patient care, regimen improvements and staff training. His medical excellence continues to be an effective source of communicative progress and assistance for BlueBird Home Care and its affiliated medical team. Dr. Valery’s titles include Medical Director at LaSante Health Center, Director of the Medical Education Department at Kingsbrook Jewish Medical Center, Medical Director of Ambulatory Care for NY Methodist Downtown Family Health Center and board-certified Internist. We are grateful to be closely affiliated with medical professionals such as Dr. Valery, who have years of experience saving lives, improving lives and impacting lives. A man of science, compassion is the defining factor of Dr. Simon’s medical career. 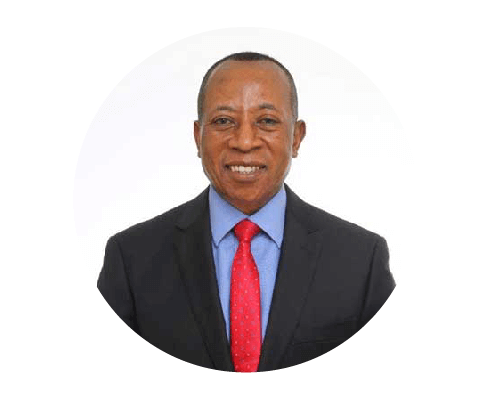 Throughout his years in medicine, Dr. Simon advocates on behalf of his patients, primarily those in financially challenged communities. “I look at my patients as I would a parent or family member”, notes the Doctor. When asked how it interferes with his professional side, he adds “I’m in the business of saving lives.” And it’s remarkably evident just how sincere and personal a man of medicine can be. At BlueBird Home Care, Dr. Simons remains true to his word. A sought after provider in Internal Medicine and renowned kidney specialist since 2013, Dr. Simons is a leading figure for the implementation of Managed Care and Communicare within HHC. He provides patient guidance to our team so that every medical roadblock is properly assessed and advised upon. Some of Dr. Simons’ noteworthy roles include Medical Director at East NY Diagnostic and Treatment Center, leading physician for the treatment algorithm of the HHC Diabetes Association and first attending physician at Kings County Medical Center’s kidney clinic. Dr. Simons was instrumental in assisting the Kings County Medical Center facility with approval for level 3 of Patient Centered Medical Home Designation and is well known at his private practice in Flatbush for Nephrology and Internal Medicine.